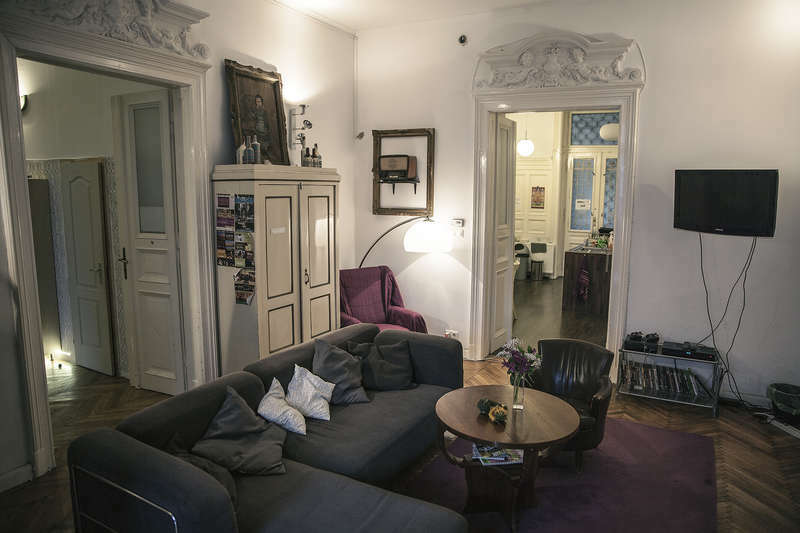 Dive in the real Budapest-live using the Baroque Hostel as your base for beautiful days in Hungary. We welcome you in our 3 lofts with double bed, 2 twin rooms, a single room and in 4, 6 or 8 bedded rooms. Take the bus number 30 (the bus stop is next to the railway station at the Statue of Gábor Baross) and get off at the 4. stop, which is called Damjanich street. Go across the street and ring the bell at 80/A Dózsa György street. Take the tram number 4 or 6 in direction to Fehérvári út-Móricz Zsigmond körtér and get off at the second stop, ’Király utca’. Here take the trolley-bus (electric bus) number 70 in direction to Erzsébet királyné útja and get off at the 5.stop Dózsa György street. Go across the street and ring the bell at 80/A Dózsa György street. Take the tram number 1 or 1A in direction to ’Bécsi út’ and get off at the 9.stop at ’Erzsébet királyné útja’. Here take the trolley-bus (electric bus) number 70 and get off at the 4.stop at Dózsa György street. Ring the bell at 80/A Dózsa György street. With shuttle: order it before through internet or our reception. Price for one way pro person is around 2.500HUF (circa 8 euro). By taxi: This is the best way if you are two or more, but do not take the Tourist Taxi co.'s cars or any private taxi, they are very expensive. You can let us know by e-mail or phone and we'll send a car after you. Price is around 7.500HUF (circa 25 euro). The Guest can cancel the reservation free of charge, unless the cancelation is made less then 24h prior check in time. In this case 100% of the price of the room will be charged. Check out time: 11.00 a.m. Check in time after 14.00. The Guest is responsible for property damage and will be fined with the amount of the repair or replacement. The Hostel takes no responsability for any loss, theft or damage caused to the Guests personal.